Episode 23: Am I Enough? Discover The Confidence Catalyst Episode 23: Am I Enough? We worry that we're not enough, that we'll never be enough, that we're lacking in who we are a human being and our self-worth. We hide these parts of us from others because we're afraid. But I want to offer you a different perspective today. I want to help you see that you really aren't enough...you are MORE than enough. Come listen in! Michelangelo was once asked how he had created the magnificent statue of an angel, he is reported to have simply said, "I saw the angel in the marble and carved until I set him free." Each of us in similar to that slab of marble. We feel STUCK and trapped inside our circumstances and unsure how to set ourselves free and how to move forward. Today I offer you THE most important tool that gives you the ability to set yourself free, to get unstuck no matter what the circumstances are. This is an episode you will NOT want to miss. Are you ready to free yourself and create the life you've always dreamed of? Then this is for you! How many times have you been swept up in worry about what other people will think of you? We fret, fear, and show up really weird when we're trying to figure out what they think of us. This is exhausting and pointless. So how can you be authentically you without fear of what others think of you? Tune in today to find out! For many women it's difficult to look at themselves in the mirror and LIKE what they see. Think of how many pictures you've deleted because you couldn't stand to see that reflection of you? It's time to change this. It's time to make peace and friends with that girl in the mirror. Listen in today where I talk about WHY we struggle with this and how we can learn to not only LIKE but LOVE that girl looking back at you. In today's episode I talk about what perfectionism is, why you might be more of a perfectionist than you realize, why it's a problem, and how it's holding you back. If you're ready to overcome this, tune in. I've got you! We all experience FEAR but it's high time to re-evaluate our relationship to it. 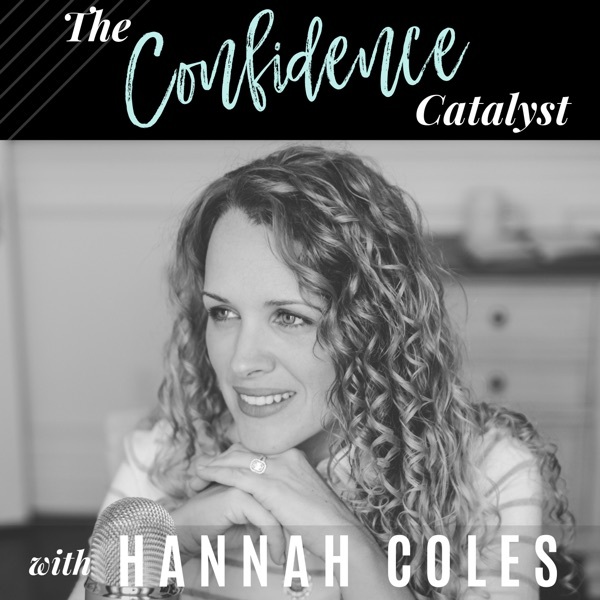 In this pre-episode I tell you a little bit about my backstory and why I decided to create, The Confidence Catalyst Podcast. People often ask why I chose to use the name, the CATALYST both for my coaching and for my podcast and so I share where it came from, why I LOVE it, and what it means for you too. The Confidence Catalyst: My Backstory and What is a Catalyst anyway? How many times a week do you think, "this is so hard!" Sometimes in life we have to do hard things and the way we approach it makes a huge difference in our lives and what we create for ourselves. Tune in today to hear two questions to ask yourself when those "this is so hard" times come up for you. Why is saying NO SO HARD to do? Saying no is an important skill to learn so that you can show up genuine in your relationships without fear and seeds of resentment blooming. When you can master this skill of saying NO you can live a true authentic life full of love for them and for you.On this episode I teach you why it's so difficult and how you can overcome that. I teach you an easy way to say no and still be able to not only keep those friends but also help the friendship thrive on a deeper level. Today, I want to introduce you to a concept of unconditional love. Simply put, loving without conditions. It's loving without expecting the other person to do anything. It's loving without needing them to be a certain way, to show up a certain way, to do a certain thing, to be there, to listen to you, to agree with you. There are no conditions when we are unconditionally loving. I invite you to try it out and see how amazing it feels. Tune into the podcast to hear more! In today's episode I teach you what self confidence IS and what it is NOT. I teach you that you don't have to go out and DO anything, that you don't have to go out and BUY a single thing, or lose a single pound. You don't have to look a certain way, or have a special degree or status. YOU, just as you are right now without having to change your circumstances in any way can develop rock solid confidence. How different would your life be if you were more confident? Ready to dive in and learn more? When you think about your life, your past, your story, we tend to reside on one of three levels. Tune in this week to find out which level you're currently on, which level offers you the most freedom, and what level you WANT to be on. We all have a past. The question is, is your past weighing you down? Do you allow your past to define you? Do you label others based on their past actions or inactions? In this episode we explore what the past IS, how you can DROP limiting beliefs that stem from your past experiences, and how to move FORWARD no matter what happened to you. 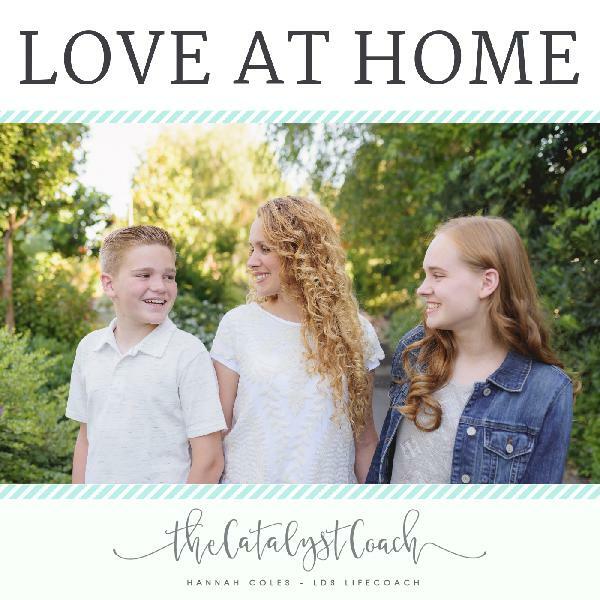 Join me today on LOVE AT HOME. Are you pleased with your life right now? Are there things in your life you'd rather be different? If things aren't where you want them to be, why not? Why don't you have the things you want yet? Most people will answer that last question by blaming someone, something, some outside source but this is a problem because if the solution is OUT THERE - it's OUT of your hands and you can't fix it. This week I walk you through the essential concept of learning to take responsibility for EVERYTHING in your life because when you take responsibility for it, it's yours, yours to change, yours to up level, yours to do with as you please. Doesn't that sound better than blaming others and WAITING for them to fix it? Listen in. In today's episode I'm going to teach you about a concept called, MIRRORING EMOTIONS. Sometimes we think and believe that other people can MAKE us mad or MAKE us upset. We can be having a fantastic day and all it takes is one person's bad mood to interrupt that and now we're in a bad mood too. Today, I'm going to teach you how to keep all your power and to feel how you WANT to feel in any circumstance and around any person. We worry that we're not enough, that we'll never be enough, that we're lacking in who we are as a human being. We hide these parts of ourselves from others because we're afraid but I want to offer you a different perspective today. I want to help you see that you really aren't enough...you are MORE than enough. Come listen in!